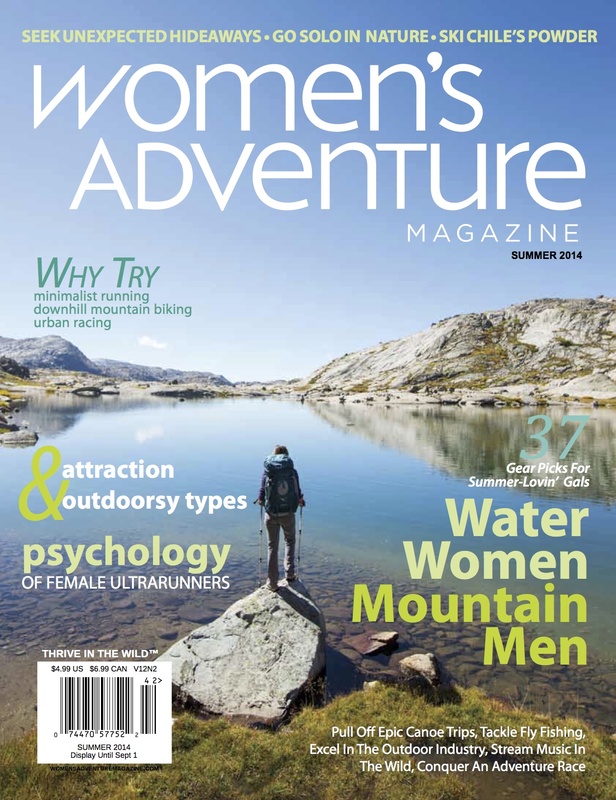 So thankful for working with the Chief Editor of Women’s Adventure, Jennifer Olson. Katie and I have been featured as this summers “Water Women” !!!!!!! 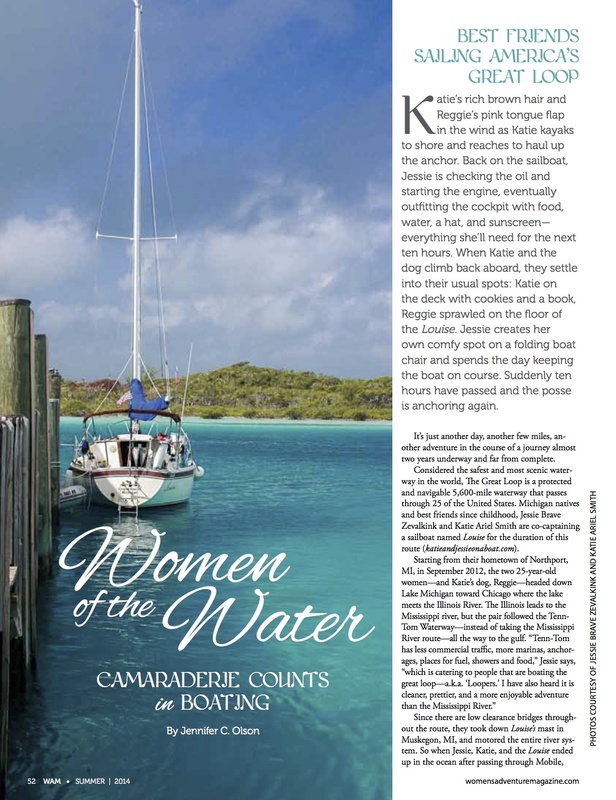 “The third feature story, “Women of the Water” on page 52, profiles a couple groups of women who find peace and wisdom, personal freedom and collective strength, along their journeys—both long and short—by boat.” And how ironic that the cover mentions “Mountain Men” whom we both once had… and no longer have… because they stopped waiting for us. I seriously can’t believe that we are considered the kind of women, who are representing what this magazine is all about. Women’s Adventure, is full of inspiring stories of strong women, who push limits, take risks, and find happiness in the great outdoors. I can’t even explain how excited I am, to be a part of it all. Please please please, check out their website, and of course subscribe to read the rest of the article, and cover to cover issue. It is a day like this, where I step back and look into my life as an outsider, when I realize that this wild journey Katie and I actually made happen, was the best decision either of us have ever made. I don’t want it to end. Thank you Women’s Adventure, for reminding us that we are, in fact, playing some sort of small role in inspiring other young women to be fearless, and free. …and to think I knew you before you became famous. And, what’s up with those mountain men? Congratulations on the article! I just want you to know that you inspire men too!! I can’t wait to be in a position to do the loop. Wishing you fair winds and a safe trip! I hope Ocracoke will be on the route! I will never forget Randy and Jim walking up the beach on Hatteras Island in Frisco in 1976! Dylan Bennink is the dockmaster at the Anchorage Inn Marina. Our house is a few minute walk. I love this blog, your journey and approach to life… the photos are amazing… I am thrilled for you both. And I appreciate your journey through this amazing blog. This blog, journey and you two are so impressive, endearing, inspiring and informative… It’s one of the most interesting reads on the WWW. OK I love sailing and cruising and have done it and so I can identify a bit with your experience… but really this is way more impressive, and informative. You definitely deserve to be recognized for this amazing (ongoing achievement). You make not only your parents and friends proud… but every sailor who has either taken off or dreams of it. WOW just WOW. If you get as far as Long Island Sound… I hope to have the pleasure of meeting you two, Louise, Reggie and Patrick. But when to weigh anchor? And when to make way?